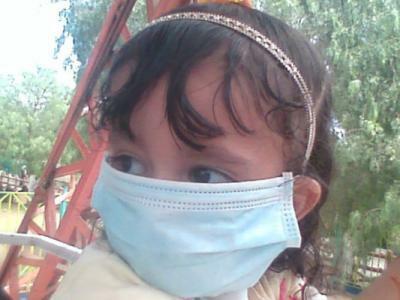 Almotamar.net - Ministry of Public Health and Population ordered on Tuesday to close a classroom of a girl high school in the capital Sana'a after confirming an infected a girl student with H1N1 virus, known as Swine Flu. On the other hand, secondary classrooms in a private school in Sana'a capital have been closed for failing to comply with the precautionary measures taken to protect students from H1N1 virus, according to the Heath Minister Abdul Karim Rase'a, who did not name the school. Minister of Public Health and Population Abdul-Karim Rase'a, along with the representative of the World Health Organization (WHO) Osamah al-Harbi, has paid inspection visits on Monday to assure the awareness program on H1N1 virus in a number of public and private schools in the Capital Sana'a. Health Ministry announced yesterday, Monday, registering some 921 H1N1 cases to date in the country. It said that the 843 cases have been cured and 55 cases are under treatment. The Ministry announced the increase of the death cases in the country to 13 ones until the date of the announcement. The first death from the disease reported on 19th August. Last week, the Yemeni pharmaceutical company YEDCO has developed anti-viral drug for the Swine Flue (H1N1) and registered it at the Yemeni General Authority of Medicines and Medical Supplements.